Join us for Terpsicorps' annual kick off event! On Saturday, May 11th at 7:30pm the pre-professional wing of Terpsicorps Theatre of Dance presents an exciting evening of classical and contemporary dance performed by up and coming young dancers at the Diana Wortham Theatre. 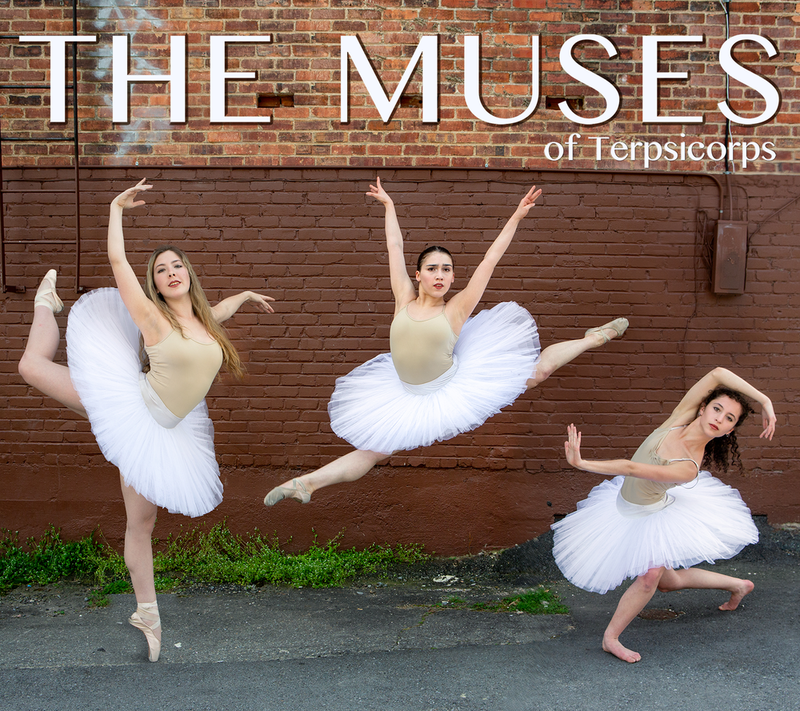 The Muses is composed of students ages 11- high school who study at The Academy at Terpsicorps, under the direction of Heather Maloy, artistic director of Terpsicorps Theatre of Dance. Tickets are on sale now! Terpsicorps Theatre of Dance expanded its mission in September of 2015 to include the already thriving dance school. Classes are offered to students of all ages and skill levels, but the Academy takes special pride in their pre-professional division program. This program is comprised of a small group of talented and focused young dance artists on their way to professional careers in the field of ballet and modern dance. With 20+ hours of diverse dance styles and cross training a week, the program is specially designed to give them everything they need to compete in today’s concert dance world. Classical works will include world premieres by resident choreographer Heather Maloy and new faculty member Karen Ninos-Carpenter, as well as excerpts from the classical ballets, “The Sleeping Beauty" by Marius Petipa, and “Coppélia”, by Arthur Saint-Léon. Contemporary works will include excerpts from Terpsicorps Theatre of Dance favorites, “The Waiting Room" by Salvatore Aiello and "Hunger", by Heather Maloy as well as new works by Vanessa Owen, Jeff Ewing and Heather Maloy. Eighteen of Maloy's former students have been accepted into the UNC School of the Arts’ high school or college dance program, arguably one of the finest and most competitive in the nation, as well as into the prestigious dance programs at Boston Conservatory, Florida State University, Central Pennsylvania Youth Ballet and the Alvin Ailey School in NY. Former students of Maloy have gone on to perform professionally with the Charlotte Ballet, Pacific Northwest Ballet, Carolina Ballet, Pittsburgh Ballet, Richmond Ballet, Elephant in the Black Box in Madrid, Spain, Basel Ballet in Basel, Switzerland, Ballett Mannheim in Germany, Lucky Plush Productions and Cocodaco Dance Project in Chicago, Missouri Contemporary Dance Theatre, Lydia Johnson Dance Company in NYC, Staibdance and T. Lang Dance in Atlanta. Click here for more information about the students and the pre-professional division of the Academy.